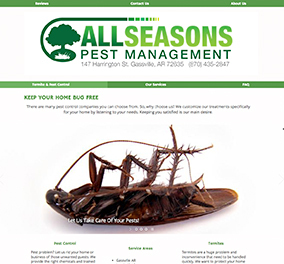 With a professional pest control website, people with pest problems can always find you. Customers have questions. We make it easy for them to get the answers they need, quickly. We put your contact information front-and-center, so customers can contact you at any time to ask about your services. 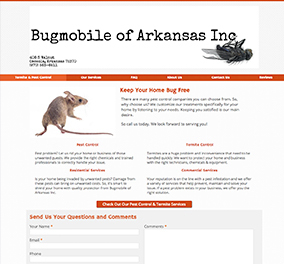 Your pest control website will be mobile-ready and user-friendly. Customers can seamlessly view your site on any device, whether it's a smartphone, tablet or desktop computer. 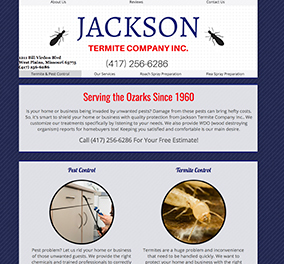 We craft your pest control website to perfectly convey to customers what you can offer them. 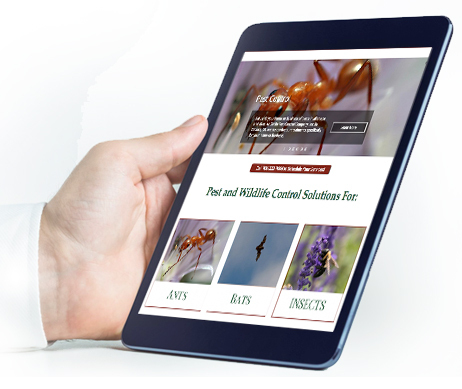 We show the world the pest control services and expert skills you offer, through an attractive and professional website. Online reviews are necessary for building strong customer trust. 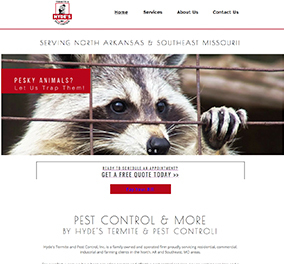 A pest control website will help establish a positive reputation and build your brand through personal experiences. With a pest control website you have the capability to offer discounts, specials and other promotions to persuade your customers to buy from you. 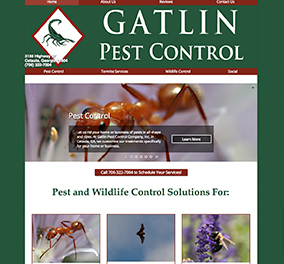 We work with you to develop your perfect pest control website design.